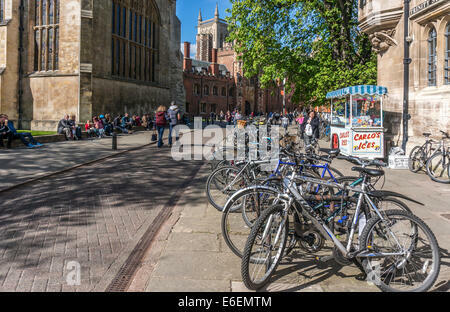 Line of bikes / bicycles on Trinity Street, with part of a university college in the background. 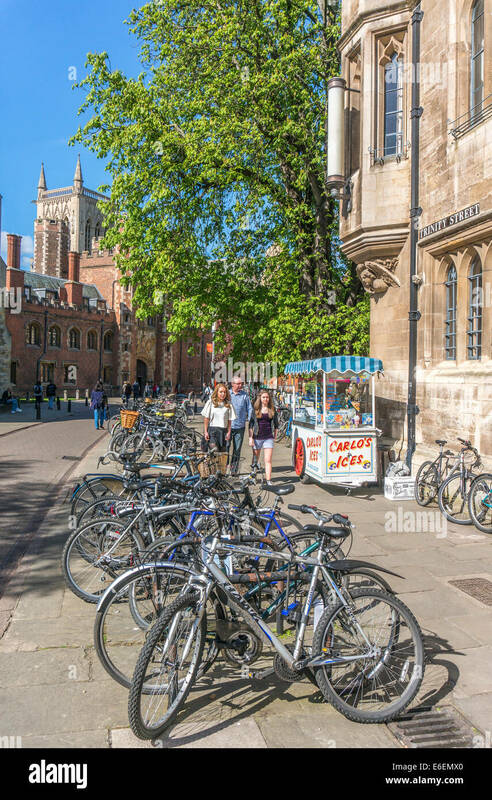 City centre, Cambridge, Cambridgeshire, England, UK. 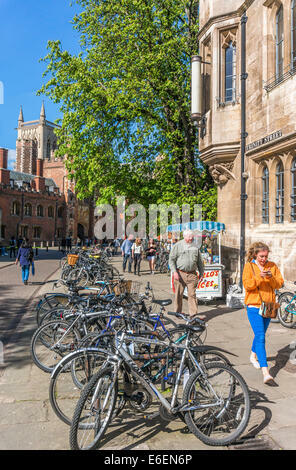 Location: Trinity Street, Cambridge, Cambridgeshire, England. 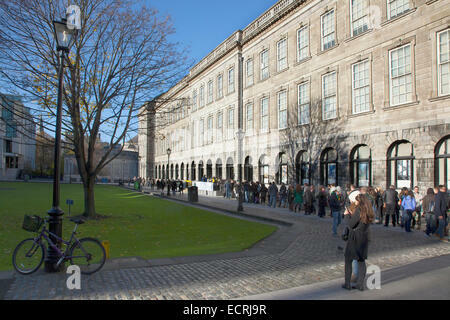 Ireland, Dublin, Trinity College buildings on College Green, Tourists queuing to enter the library to see the Book of Kells.